Source: Narrator – I received this in exchange for an honest review. Alcyone is gone. The Independent stronghold on Scorpii is destroyed. Sigrid and her sisters have fled the Federation to make a new home on the remote world of Medea. But with a price on her head the size of a planet, and pursued across the galaxy by the Council for Trade and Finance, Sigrid knows she and her sisters are not safe. As long as there are those who would seek to control them, hunt them, they will never be safe. Unless Sigrid can stop them first. But to stop them, Sigrid must first find them. But how? And where? Her only clue is a mysterious coded message; one that could serve as either warning or invitation; one that will lead Sigrid to a factory world at the very edge of Federation space, and to a deadly confrontation with her most dangerous enemy yet: the machines of Bellatrix. 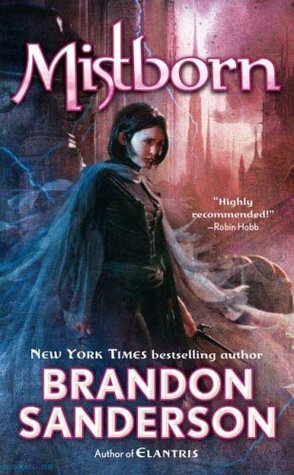 The Machines of Bellatrix is book two in the Girls from Alcyone series, and picks up some time after the first book ends. Sigrid and the other girls have a new home, but find that they are still in danger and Sigrid is tired of having to run. This book is just as fast paced as the first book, and we find ourselves in a lot of conflict in this one. Sigrid has taken up more of a leadership role and takes her position seriously, often putting herself in the line of fire to help protect the girls. The resulting conflicts and fights were pretty freaking amazing. We see a few new places and get some really great world building in the process. I really like the scope of the universe in these books, because while it is growing it doesn’t feel like and over abundance of knowledge all at once. Then of course there is the new threat that has popped up, and it gets crazy intense especially towards the second half of the book. And holy cliffhanger batman! The way this one ended had me reeling! Sigrid and Suko still remain my favorite part of this series. I love space travel and exploring new worlds with cool tech, but these two top all of that. Their relationship is one that really provides light in some really dark situations for both women, and I loved that they have such a strong bond even with all the outside issues. Kristen James does a fantastic job as always in her narration, with a wide array of voices and perfect pacing. I love listening to all of her different works because she really knows how to give individual and unique voices to characters and not have it feel recycled from one series to the next. Not to mention her consistency in the voices despite there being so many. I’m moving at a snail’s pace this year with my reading due to stress and being busy, but I’m really looking forward to listening to Night Witch as soon as I can. Image | This entry was posted in Book Reviews (2016) and tagged 4.5 Stars, audiobook, dystopia, review, sci-fi. Bookmark the permalink. I think I should maybe look into the first one in this series especially if they have it in audio as well. I don’t listen to many audiobooks but this one makes me wonder if it’s the best way to dive into the series with the first one 🙂 Glad you loved it! Definitely go check them out and give the samples a listen! Kristen James is one of my favorite narrators.